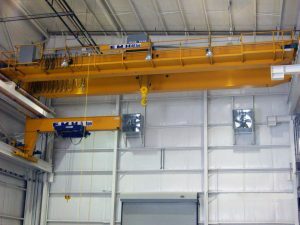 Jib Cranes | EMH, Inc.
WALL TRAVELING JIB CRANES are normally used in conjunction with overhead bridge cranes for frequent movement of smaller loads. Wall traveling jibs free up the bridge crane for heavier duty lifts, providing better work flow. AL Systems™ Pillar Style and Wall Mounted jibs are available in capacities from 250 lbs. to 1,000 lbs. with spans up to 15 feet. 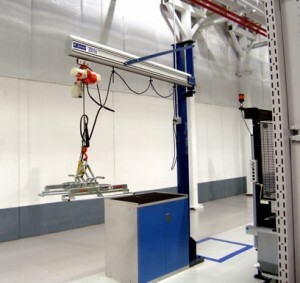 Click here for more details on AL Systems™ Aluminum Rail Workstation Cranes.